It’s a user-friendly one-stop shop that will get genuine 5-star reviews for your business on all the review publishing sites that matter. Set up automatic email, text message, and print review acquisition campaigns. Maximize your review volume on Google and Facebook while targeting the industry-specific review sites where you need to have a positive presence. Defend your online reputation by catching unhappy customers before they go online with negative reviews. 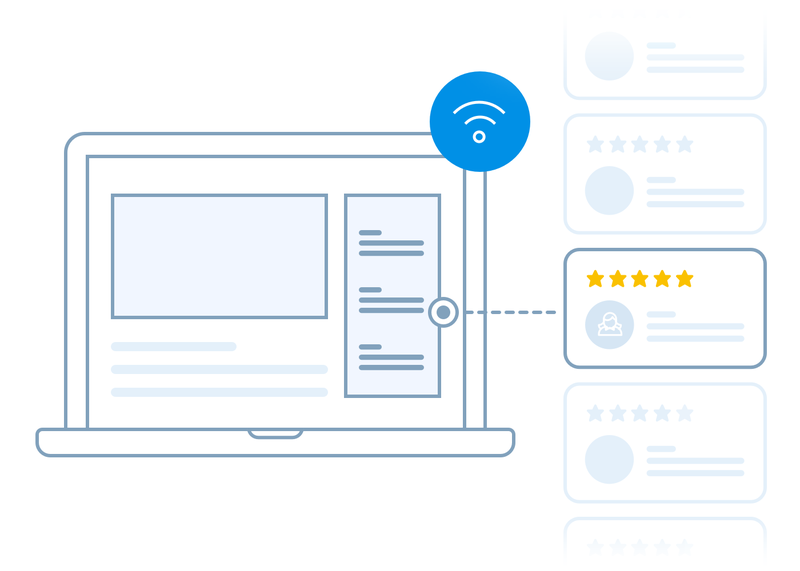 Capture Review lets you watch over your online reputation and manage your customer feedback stream from one user-friendly platform. Take control with the Capture Review Dashboard – A central location for managing your reviews, responding to customers, and tracking issue resolutions. Get alerts that let you and your team members know whenever a new review hits the Web. Use reporting functions to stay on top of customer feedback trends and aggregate the review ROI data you need. 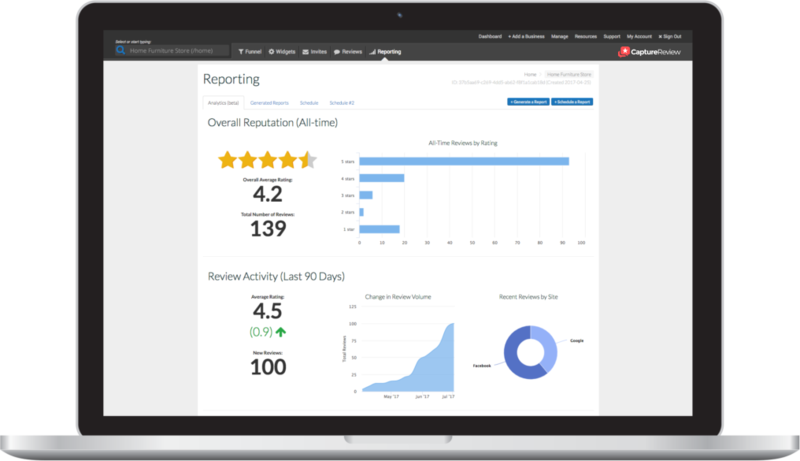 Capture Review makes it simple to collect and utilize positive reviews in ways that turn happy customers into your strongest sales force. 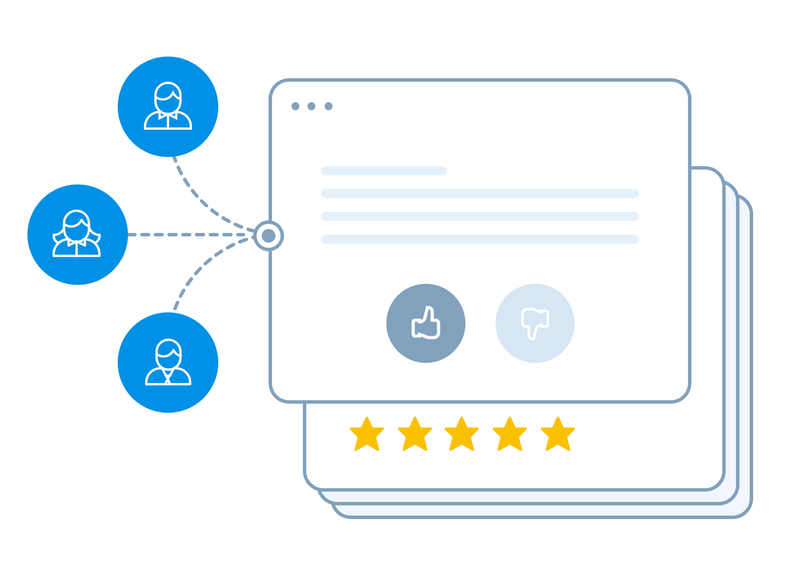 Convert positive reviews into compelling marketing content with automated social sharing. Use widgets to display your latest and greatest reviews as streams on websites and in sales channels. Promote search visibility by showcasing your best reviews in SEO-friendly markup on your website.